The Houston Indepenedent School District’s Resource Allocation Advisory Committee (RAAC) is inviting members of the community to serve on the panel. RAAC, which was created by Interim Superintendent Grenita Lathan last year, functions as an advisory committee to create recommendations on HISD’s funding model and expenditures at the campus level. The committee consists of HISD principals, parents, community leaders and staff. The administration is open to recommendations from the public and views of the community as a critical partner in the decision-making process of reimagining HISD. This entry was posted in News, Volunteers and partnerships and tagged Resource Allocation Advisory Committee on March 6, 2019 by HISD Communications. nearly $300,000 to fund strategic initiatives for HISD students. The highlight of the evening was a fireside chat between Interim Superintendent Grenita Lathan, CEO of Teach for America Elisa Villanueva Beard and Harlem Children’s Zone Founder Geoffrey Canada. The discussion was moderated by ABC’s What Would You Do? host John Quiones who recalled his childhood as a migrant worker and a defining moment when his father asked if he wanted to do that kind of work the rest of his life or get a college education. 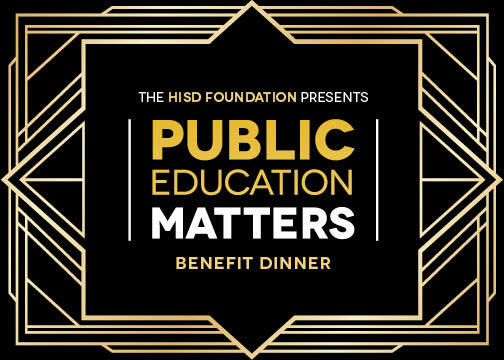 This entry was posted in News, Volunteers and partnerships and tagged Public Education Matters Benefit Dinner on March 6, 2019 by HISD Communications. More than 140 Scarborough High School students joined law enforcement officers from the HISD Police Department, Houston Police Department and the Metro Houston Police Department in a program on Wednesday to reduce the number of hostile encounters between juveniles and law enforcement officers. The Win-Win Program, developed by the Houston Health Department’s My Brother’s Keeper initiative, imparts conflict-resolution skills through interactive workshops and candid group discussions. Participants gathered together for a general assembly in the Scarborough High School auditorium, where they discussed the importance of strong student and peace officer relationships, which, according to Principal Roderick Trevino, Scarborough students are prepared for. This entry was posted in HISD PD, News, Volunteers and partnerships and tagged Scarborough High School on February 21, 2019 by HISD Communications. Flanked by balloons and holding an oversized check, Northside High School Senior Tren’kell Reeves could not hide her excitement after discovering she had been named the winner of the student emcee contest for the HISD Foundation’s 2019 Public Education Matters Benefit Dinner. 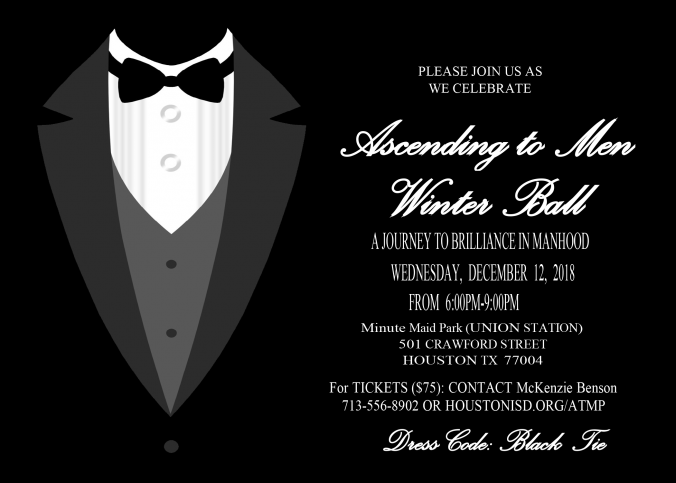 This entry was posted in Special events, Volunteers and partnerships and tagged HISD Foundation, public education matters on February 8, 2019 by HISD Communications. 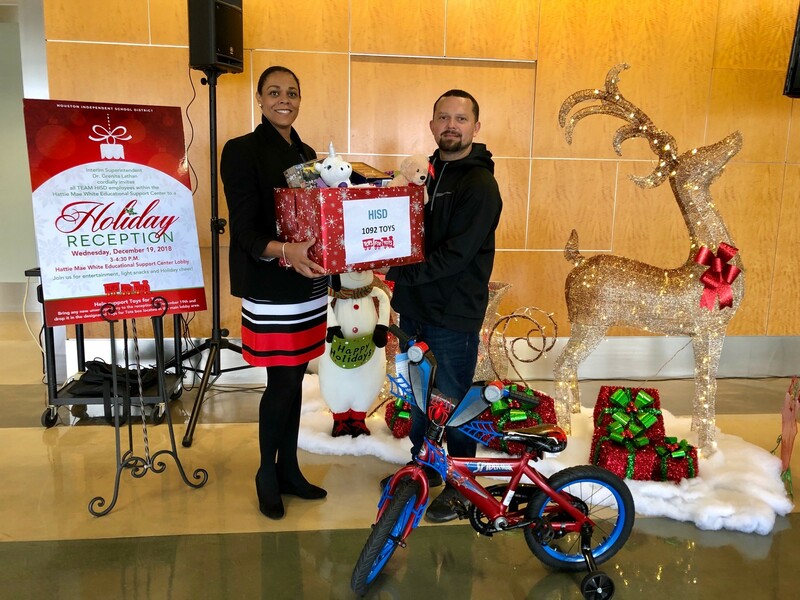 The spirit of the season was in full swing as more than 1,000 toys were collected for HISD’s annual toy drive for the United States Marine Corps Reserve’s Toys for Tots campaign – the most toys collected in district history. This entry was posted in News, Volunteers and partnerships and tagged toys for tots on December 19, 2018 by HISD Communications.